Lyn Cote here--Do you read Amish romance? I do occasionally and here is one book I can recommend. The Christmas Quilt by Vanetta Chapman charmed me with her believable and endearing characters, Leah and Belinda and their husbands. I am not a person who reads a lot of Amish novels, but the cover intrigued me and I'm glad I decided to read it. Vanetta's voice as an author is so readable that I felt comfortable right away in her story. The Christian content also flowed with story and felt so natural. The only element I wished Vanetta had spent more time on was the romance between the single mother storekeeper Rachel Zook and the older man she began to care for. That was prominent at the beginning but was merely in passing by the end. I wanted to know why the woman changed so. Except for that, I'd recommend this to anyone who enjoys Amish romance or sweet romance in general. 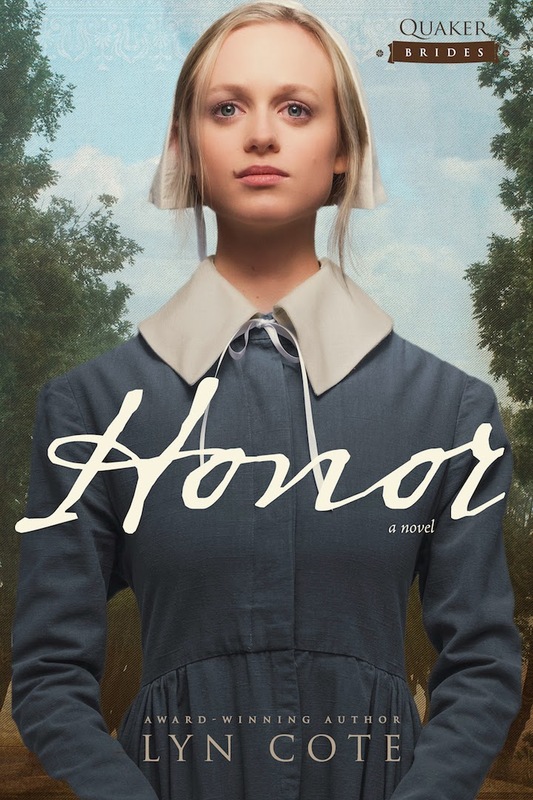 In my newest book, RELEASED TODAY, Honor, Book one of my "Quaker Brides" series, my heroine Honor is a Quaker, another Christian sect, one of the "Plain People," like the Amish. Quakers were active in abolition in the early 19th century and my heroine becomes involved in the start of the Underground Railroad. If you're interested in HONOR, here's a link to one reviewer's opinion. Online visit Lyn at her website. Thanks, Rox! I do my poor best. This sounds like a interesting book! interesting books--quilts having secret codes is a well-known fact for those familiar with the underground railroad. I just wish authors would research and pick quilts to match the subject. A true Amish person would never use anything but a solid color in a quilt, and Sunbonnet Sue/Sam patterns would be verboten in an Amish quilt. Sometimes it's not the author's fault. Publishers control the covers. But it was a good story anyway. glad to hear it was a good story. I just hate how things are proliferated with falsehoods with certain religious groups. My mom's family is Plain, and the ridicule endured by all of the Anabaptists through society would not be tolerated by other religious groups.